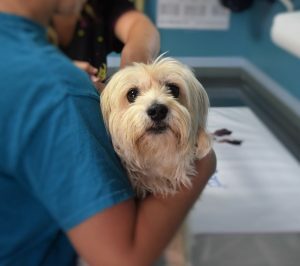 Outside of the family members, the next important person for your dog is going to be their vet. They don’t get the option of choosing who is going to look after their medical care, so the responsibility is on you. If you have other pets then this will be a simple task as you probably already have a veterinarian. If you don’t then here are a few tips to help you choose one. Ideally, you want to find a vet that is close to your home. In the event of an emergency, you don’t want to have to travel a long distance to get the proper care. If you are a working family chances are you can’t keep vet appointments through the day. Try to find a vet that has evening hours or weekends. Seek out a vet that is able to perform all of the likely services that your pet may need. This may even include advanced diagnostics like x-rays or perhaps minor surgery. You may feel more comfortable using a vet that is recommended to you by one of your friends or neighbours.